I don't want to jump to conclusions before we hear all the lies from the police department and the mayor of Oakland. 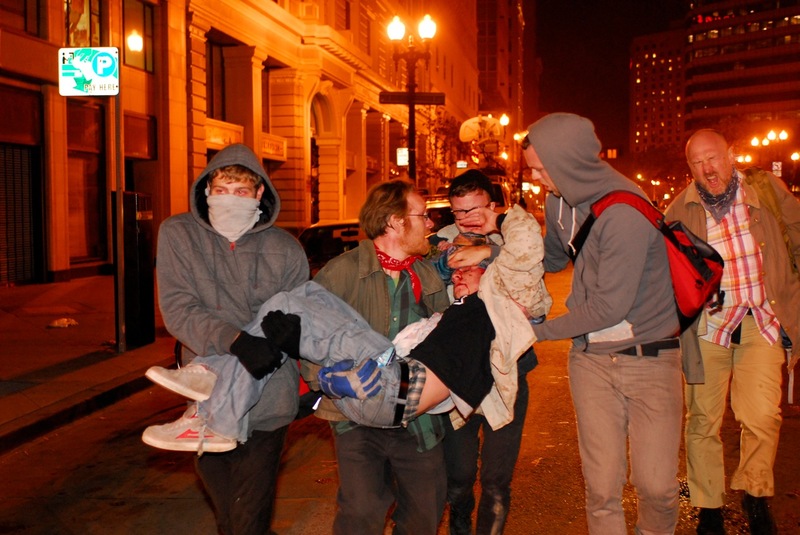 After all, this protester from Occupy Oakland could have ties to al-quaeda, and maybe he tried to bite an officer. We need to hear all the lies first. If you want to get the lies in person, which is highly recommended and may be even entertaining, if not downright educational, the allegedly "progressive" mayor of Oakland, Jean Quan, will take your call at (510) 238-3141. Remember that she's really on your side. On the brighter side, explaining how it works in Palestine might get a tad easier.